The first speaker is LaMond Woods of SentryWest Insurance Services. He’s starting with a discussion about fidelity insurance, which is, as I have previously pointed out, different than directors’ and officers’ coverage. Standard insurance policies will provide coverage for “employee dishonesty,” but a typical portfolio manager doesn’t fit within the definition of an “employee” under the policies. In that case, you’ll need a separate policy to cover the crime/fidelity risk. Directors’ and officers’ coverage provides coverage for non-intentional misconduct of board members and officers; LaMond asserts that the embedded coverages in insurance policies are generally inadequate. “If you’re not paying for a separate D & O policy, you’re probably inadequately covered.” The problem, he explains, is that these policies generally don’t cover non-monetary claims, which are the majority of claims against associations’ boards. Shay Bertola of Western Risk is talking about workers’ compensation coverages for associations, including those without employees; one of the main risks is having coverage for contractors without coverage. Boards need to check on the licensure and insurance for their contractors; even if you don’t have employees, you will need an “if any” policy. Some of these policies will cover volunteers; others cover uninsured contractors, some include both. Garth Leone of Community Association Insurance Solutions LLC, is discussing available policies for uninsured contractors and volunteers. He’s talking about a $100,000 claim arising where an association president fell from a 10 foot ladder. Beat Koszinowski contends that “All property is insured… until you have a loss…” He’s discussing property coverages, and pointing out that associations need “boiler and machinery” coverage, even if they don’t have boilers. That’s because this coverage, in spite of its name, is the coverage that will cover the machinery and equipment coverages in most multi-unit buildings. “Open perils” coverage will cover risks unless excluded; “named perils” coverage is more limited, and will cover only some of the traditionally recognized 16 perils. Beat advises — appropriately — that you should steer away from an insurance agent that doesn’t insist on reviewing your association’s declaration. 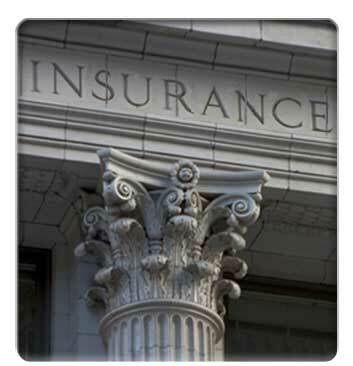 After all, it’s generally the declaration that will establish your association’s duties respecting insurance.